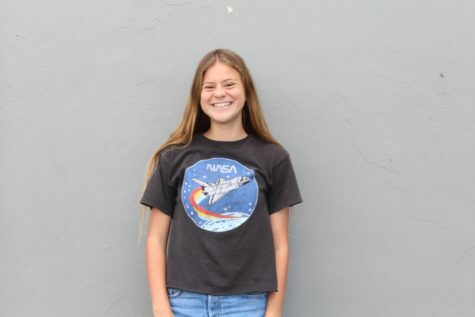 Casey Shoultz is a freshman at CHS in her first year in the Wolfpacket.Even though Shoultz is a freshman, she is already very stressed out and would appreciate it if her teachers stopped giving out so much homework. Her school plans include making the school soccer team and becoming a future editor in the Wolfpacket. Outside of school, you can find Shoultz eating Clif Bars, playing soccer with her club team, listening to music- specifically Why Don’t We- and getting chased around by her crazy dogs. She enjoys watching football and soccer with her dad (Raider Nation!! ), and loves to go on hikes with her two English Bull Terriers, Ruby and Duke, which she proudly rescued. Shoultz enjoys going to the beach (yes Amanda I will learn how to surf one day!) and being a Clif Bar enthusiast. Her aspirations include traveling the world, going on a big road trip, and meeting her true loves, Why Don’t We, Harry Styles, and Bazzi. Most would call Shoultz “obsessed,” but she prefers “a passionate love” (obsession with a different name).